Print materials. Social media. Email marketing. Strategic Marketing. Campaign Planning. Design. Photography. Doncaster-based Purple Vouchers came to us to help launch their 2018/19 voucher book. Their accounts spanned over multiple social media platforms, so it was important that we made them eye-catching and engaging for current customers. As well as this, we wanted to attract new audiences and boost sales through strategic adverts, and clever email designs and campaigns. 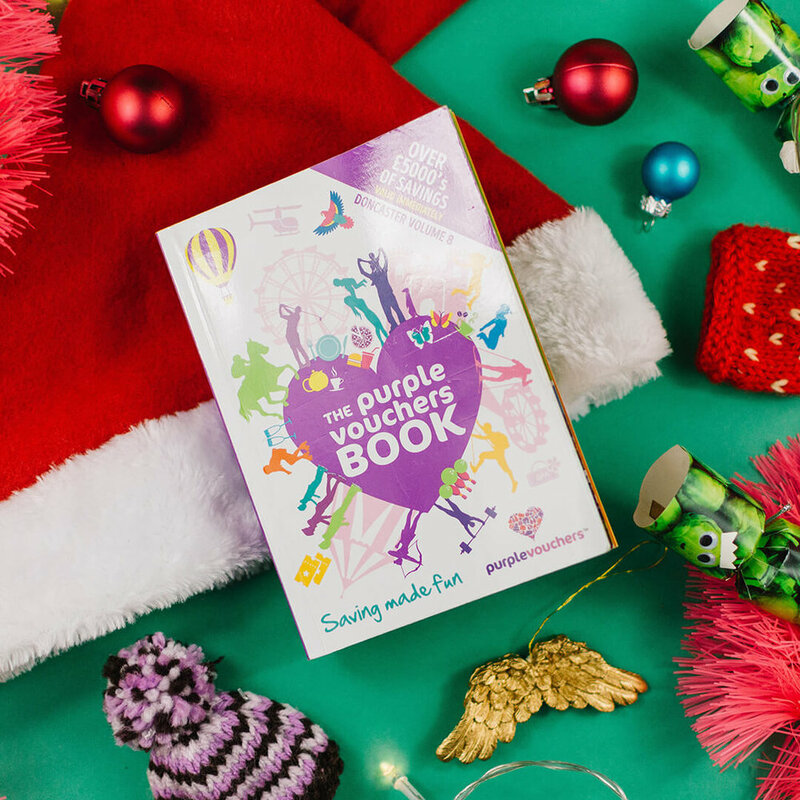 Our favourite and most exciting project with Purple Vouchers has been the Christmas catalogue. Our designers unleashed their full creative flair to ensure the catalogue met the brief perfectly, through a vibrant, stand-out design that would make readers want to turn the pages.